Among the men of both sides who fell killed or mortally wounded at the Battle of Kennesaw, arguably the most prominent is Union Colonel Daniel McCook Jr., who suffered a mortal wound on June 27, 1864 while leading his brigade against the Confederate line. Shot in the right lung, he was carried from the field by his men, many of whom had known only him as their brigade commander in the war. 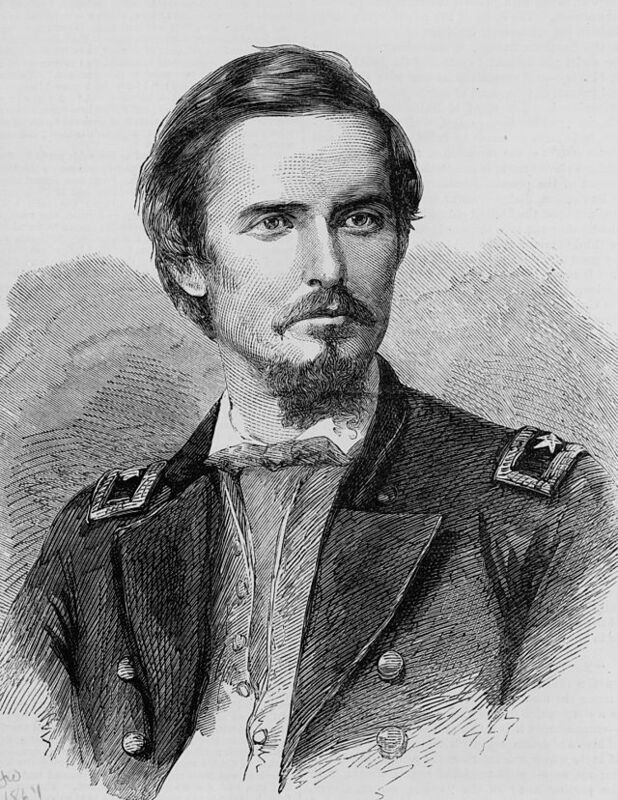 Although wounded, McCook lingered for three weeks and evacuated from the battlefield. After a wagon trip from the field hospital to the railroad, he traveled by train back to his hometown of Cincinnati, where he lived his last days with his mother and his wife Julia. He died of complications on July 17, 1864, just 5 days shy of his 30th birthday. McCook’s agonizing last days were brightened by two things: the presence of his family and home setting, and a message on July 16 notifying him of a promotion to Brigadier General. Thus it came to pass that another Union General McCook (and second Daniel McCook, after his father in 1863) was laid to rest in the family plot in Cincinnati’s Spring Grove Cemetery, joining Robert from 1862. For many participants, battles end when the armies leave. For others like Daniel McCook and his family, the battle’s aftershocks linger for days, weeks, and months afterward. This entry was posted in Leadership--Federal, Western Theater and tagged Atlanta Campaign, Dan McCook. Bookmark the permalink.